Looking back on my post, I could not agree more. While I both agree and disagree with Ben’s far more comprehensive article, I’ll be setting his many points aside (although for more, see David Carlton’s response and their brief conversation in his comments section.) Previously, I looked at one aspect of Civilization V’s procedural rhetoric and the game deserves much more. This post seeks to amend that error. There are a few important aspects of Civilization V that are very important to recognize, but that I do not want to belabor entirely. Civilization V is dangerously simplistic of identity groups at best, if not flat-out racist. India’s unique trait, for example, is “Population Growth,” which doubles unhappiness from the number of cities and halves unhappiness from total population. This feature is most suitable for cultural victories. Firaxis mechanically constructed the Indian civilization, and cultural expansion in general, to conform to the notion of culture as a calculable attribute of groups of people, a notion that suggests the crowded streets and slums of Delhi, Mumbai, and Kolkata compose the necessary features of a cultural Mecca. Meanwhile, these densely packed cultural oddities, the game suggests, are relegated to fanciful dreams of utopia. India is just one example of vagrant stereotyping among many. Diplomatic victories are equally shallow. In order to win such a victory, players must build the United Nations and win an election for world leader. The UN in Civilization V is a mockery of the actual international body. Players construct the UN independently. No general assembly exists, therefore there can be no international agreements, no peace settlements through UN channels, and certainly no human rights declaration. The UN functions as a narrative facade, obscuring one method to declare a single individual the winner. 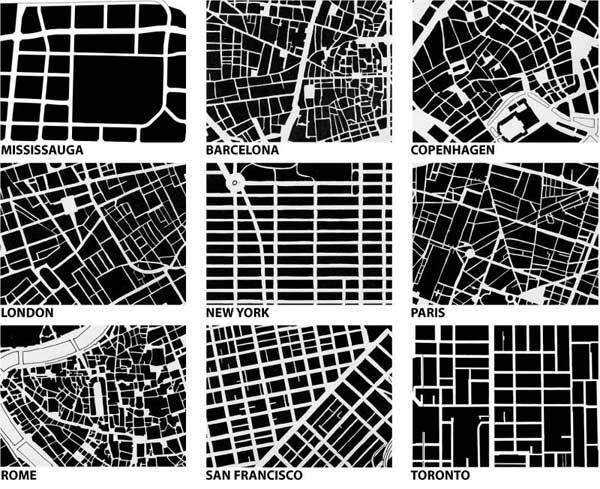 An election does take place in which city-states vote and play a deciding role. However, city-states can be bribed with gold or permanently influenced by liberating their city from other civilizations. A diplomatic victory announcement frames it as a competitive event, stating “you have triumphed over your foes” and your cunning has “divided and sown confusion among your enemies.” In Civilization V, enough riches can buy peace, and peace is just another form of selfish control. Civilization V peddles modernist myths of linear and irreversible progress and characterizes political relations as neatly organized and legible. 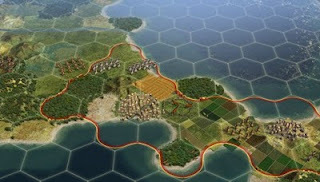 In fact, the hexagonal tiles of Civilization V mirror what Political Scientist James C. Scott calls the “imperialism of high modernist, planned social order.” Like the grid logic that allows states to impose order upon a people, and thus exert control, the tiles of Civilization V allow the player to quickly understand, order, and control their civilization. The games does more than depict a legible world, it calls on players to procedurally create such order. The barbarian encampments, the nomadic tribes, are eliminated only when the entire world is within line of sight of a civilization’s units. Illuminated by the presence of the state, the tiles are free of risk and can be purchased and exploited at will. 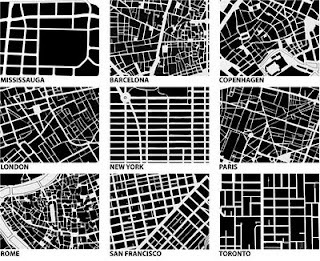 A civilization’s expanding borders are a visible depiction of control over an increasingly legible landscape. Scott’s discussion of rural settlements could easily be attributed to the creation of new digital civilizations when he states, “A new community is thus, also by definition, a community demobilized, and hence a community more amenable to control from above and outside.” Whereas Scott criticizes states with “an authoritarian disregard for the values, desires, and objections of their subjects,” Civilization V retains no such claim. The subjects of Civilization V have no values, desires, or objections to speak of. The game recreates the high-modernist discourse of ordered and legible civilizations as a digital playground. Civilization V procedurally renders a vapid conception of social relations marked by blanket uniformity. Although players can unlock globalization as a technology, the game does not model a complex economic system of globalized production and consumption across borders. Civilizations are neatly confined and controlled. Poverty and inequality are not an issue, and class holds no explanatory relevance for historical processes or civilizational growth. The game sure is fun though, isn’t it. To be fair, there is a lot of value in Civilization. For one thing, it can give unique insight into the process by which paradigms and practices shape the reality they seek to describe. Players can even challenge dominant narratives of history. However, all this demands a critical perspective. Games that depict real world processes and systems should not be played lightly, at least not at first. While Civilization V alone may not be all that persuasive, particularly for gamers who seem so damn good at ignoring a game’s fictions, it functions within a greater discourse about civilization and progress that does, in fact, sway popular perceptions and global policies. Designers and players should first and foremost navigate the intersection of digital systems and global systems critically, before we become enraptured by fun alone. Great analysis, though I'd challenge the assumption that underlies this piece, most clearly in your final argument, that Firaxis is duty bound to model the real world as closely as possible. Sid Meier has an explicit philosophy that "when fun and realism clash, fun wins", and it is undoubtedly this that causes Civilization to be a more streamlined representation of the world than, say, Europa Universalis. That's not the only approach, but it's a valid approach. That applies to much of your analysis, although choices like the civ's unique traits are a different story. So I suppose, ironically, I appreciate the inspection of the game more than the rhetoric. Ah. I agree. I did not mean at all to say Firaxis must model the real world as closely as possible. Achieving such a lofty goal 100% accuracy is impossible. Personally, I'm all for fun, but when modeling real world systems, players and designers must look at the creation critically. For Firaxis, maybe this means being upfront to players about what ideological assumptions it makes, maybe even second-guessing some of their design decisions. The blind pursuit of fun can be dangerous. In an interview just before Civ IV, Meier admitted to the franchise being Western Centric and that his team were working on that - citing that they were adding new civilizations to the game. That's not really the problem as I see it, and I think its indicative of their approach. In regards to the subjects of Civilization IV, the desires/values of the subjects are modeled (loosely) as the cities' happiness index (I assume this is the same in Civ V, but I haven't played it yet). The subjects desire health, luxury items, and entertainment. This is just one example, but I think there are some mechanics that are both persuasive and based on an attempt to model reality in the Civilization series, maybe not in V and maybe it's not consistent throughout. I'm not exactly sure what is persuasive yet (I'm still tackling the concept itself). I'm starting with the tiles and working my way up on my site here: http://betweenhexes.com. I'm tackling this in the analytical context that Ben describes. Maybe I can extend myself and reach into the rhetorical, but I don't think I roll that way (I'm gonna try!). 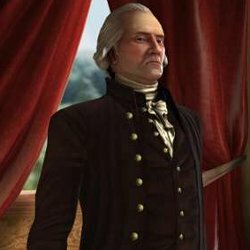 @ Jorge - one of the conflicts with Firaxis making major changes to the game is that over the course of 4 games and expansions, they've created a language or grammar that defines what "Sid Meier's Civilization" is, much of which Sid Meier admits was chosen arbitrarily (at least the tech tree was). Some of the decisions made in making the first game were based on an older understanding of the real world systems (such as the hydraulic hypothesis for how centralized political control came about). The fans (and potential purchasers of the next game/expansions) are creating a conflict between what the game could be (moving beyond these initial design choices) and what they think it should be (maintaining or only slightly modifying these choices). The recent designers at Firaxis are fans of the previous games as well which further complicates things (Soren says he played a lot of Civ 1 in college before working on Civ 3; John was influential in the civfanatics fan community as a modder for Civ 4 before being hired to work on Civ 4 Beyond the Sword and Civ 5). So maybe Firaxis, rather than applying critique to the series based on real world rules, are instead basing it on the fans' needs & wants. Which is further interesting when you bring mods into the mix. If the mods are serving as the real world critique, then I wonder where they would sit within Ben's analytical/persuasive divide (if they fit and where). I can think of at least two mods (and there are many more) made by creators that make an assumption that there is meaning within the systems of Civilization and modifies the systems to change the meaning. Rhye's and Fall of Civilization (available as a mod or bundled with Civ IV Beyond the Sword) is an excellent fan-made critique of the system, tackling what the creator considers is 'wrong' about Civilization and correcting it (in particular, a 'true earth' map and adding inequality among civilizations by having staggered start times - Japan starts after China, the Aztecs start after Babylon, etc...). There's also the Iraq Quality of Life Civ IV mod (http://finegamedesign.com/qualityoflife/) which adds a new victory condition & scoring system - increase Iraq's quality of life in 100 years. And lastly, for every player that ignores the fictions of Civilization, there is a story of a game session told within the fiction of the game at the forums of civfanatics.com. Just because these fictions are not 100% (or 50%) accurate, they are often engaging the game critically as their stories explain the consequences to their civilization beyond what happens within a game playing session. In response to Fraser Alison - Fraser, I think *you* are also assuming something in your critique, and that is that realism and fun are always diametrically opposed. On a merely personal note, a more 'realistic' and complicated investigation of the forces and clashes of civilizations would have been WAY more "fun". Admittedly, more fun in a different kind of way, but definitely more fun. That's not really what I'm saying. If not for the Sid Meier quote, I wouldn't use the word "fun", because I agree with you on the second point: there are different kinds of fun. My point is more that Firaxis was aiming for a certain kind of experience - what Meier simplified as "fun" - and that in some aspects of the design, that took precedence over realism. Note that the quote is "when fun and realism clash". I think you're right, the game ought to acknowledge the assumptions that are part of its design. Yet I suspect I'd giggle if I saw a disclaimer in Civ to the effect of "This game may not be an accurate simulation of reality". Why? Well, I already know it's not an accurate simulation, because it's a game. But that's perilously close to saying "it's only a game", the most hateful phrase in game criticism. I'm aware that my perception is slanted because I've previously seen or read Meier, Soren Johnson and Jon Shafer (lead designers from various Civ games) all readily acknowledge the unreality of Civilization, and describe it as a game first and a depiction of history second. But you're right, it doesn't say so in the game itself, and it should address the issue somehow. It's also interesting to note that the Civ designers, and particularly Johnson, are enthusiastic supporters of mods that reconfigure their design, like the Rhye's and Fall mod Rik mentioned above. They even issued post-release patches to allow some modders to implement features. So although they present one version of history, they encourage a competition of views - a kind of debate-by-design. If Civ V isn't honest about its simulation of reality Civilization Revolution is. The cartoonish style (and unfortunate depiction of certain leaders *ahem*Cleopatra*ahem*) shows that this game is not meant to be authoritative in any way. Contrast this to Civ V's art deco UI, which imparts a certain degree of authority to the simulation. I've not seen all the leader avatar's however so I'm not sure how far the seriousness of the simulation is followed through in the art design. Too true, there is a game that could exist that could incorporate vetted (or at least thought through) research about how cultures clash and be fun. Unfortunately, that would not be 'Sid Meier's' Civilization, as the developers have defined it. By supporting mods, Firaxis gets to sidestep this. They can say that this Civ V is 'Sid Meier's' Civ, and if you (player/fan) don't like it, make your own Civ. And it is interesting if you compare the mod support for Civ V and the lack of support for CivRev. The core for CivRev was largely programmed/designed by Sid Meier as an update to his original Civilization (but borrowing some key features from Civ IV) and I think many of the aesthetic choices had a good deal of input from him. With this game, it is very much 'Sid Meier's Civilization' and the fan/player has no input about whether it can be anything else. Usually I'm loath to wade into a what appears to be a close-knit online community (in this case, of "academic" gamers); I don't know the history, the conventions, the *stifles vomit* meta-discussion. As an outsider, I feel that pseudo-academic games writing does need to mature, but strictly not in the way that these articles suggest. Coming from an Eng. Lit. background, I am acutely aware of the vast difference between writing that communicates complex, brilliant ideas in simple language, that communicates simple ideas in complex, overwrought language, and writing so belaboured in parts as to be incomprehensible. If games writing is ever to be taken seriously, we need to stop writing like hacks pretending to be smart, and just be smart. Don't use a big word when a small one will do. Don't generalise and theorise and treat Portal like its Hamlet. It isn't. One day, someone will programme the game equivalent of Hamlet, or Guernica, or Handel's Messiah. When they do, we need to have advanced our dialogue such that this game's genius can be adequately appreciated and communicated, not just to us, each other, people who already know, but to everyone else. To do otherwise is little better than self-satisfied circle-jerking. "Designers and players should first and foremost navigate the intersection of digital systems and global systems critically, before we become enrapture by fun alone." You seem to have an inversion of priorities. If it's not fun, no one will play, then what does it matter what the message is? No one will hear it. This seems to be an ongoing problem with 'artistic' games: they treat the player solely as an audience to their authoritarian authorship. Players are co-authors in the experience, in which they are also the main characters. They are audience members only when the game ends and they step back to evaluate that experience. To that end, more attention needs to be paid to the incentives given to a player, versus the more salient content. To that end, the pacifist options available to the player should still be lauded, since civ relations matter, and warfare can do political and economic damage to you beyond the scope of that one civilization. More attention needs to be paid to the ramifications of criticism, as well. Sid Meier stated in a presentation that Civ was never supposed to have the 'mythical' rise and rise of civilization. It was supposed to be a "rise and fall and rise again" affair. However, players always quit when their civilization fell. They couldn't accept that the hurdles they faced were part of their environment and were convinced it was something they were doing wrong. That's why, no matter how historically inaccurate, the linear march of progress is an essential game mechanic for Civilization. Also: You criticize Civ for not being culturally aware, but you seem to have unwittingly infused your criticisms with your own beliefs. The U.N. should be portrayed as a bastion of democracy? Hardly. The ruling members of the security council got that way by having military and economic dominance over all other countries combined. George Bush created a huge swell of support for an unfavorable war by leaning on those small U.N. members who were economically reliant on the United States. However unpalatable, Civ's portrayal of the U.N. is accurate in making explicit the unwritten rule of the international politics: if you are not one of the major players, you are just a pawn. Thanks for the thoughtful comment. Let me address some of your points in order. Firstly, to make this absolutely clear, I am not advocating for boring or not-fun game design. Again, being critical about the intersection between digital systems and world systems does not preclude fun. When I say designers (AND PLAYERS)vshould be more critical "first and foremost," I mean they should approach their subject matter critically first, then start approaching the project with an eye towards fun - instead of what Meier seems to suggest, be fun first above all else. It's defeatist to think the two can't mix. They can, but to do it properly, they need to treat real world subject material critically. Secondly, I generally agree with you regarding the authoritarian authorship stance. Civ V should absolutely be praised for supporting the modding community, which allows players to change the rules themselves and have a conversation with the piece. That being said, I see no reason why Civ V as it is, mods aside, is not also authoritarian. The ideologies of Civ V are hidden within the mechanics, which provide incentives and affordances that drive players toward understanding the game's version of history in only a small handful of ways. Authoritarian authorship is not a dilemma of artistic games alone. According to Meier's statement, yes, you would be right, players quitting ushers them into a linear construction of history. But it's not just that. A civilization that is momentarily set-back is not a fallen civilization. They do not lose technologies or access to social policies. Their progress is slowed along a linear path, not turned around. If Meier was going for a "rise, fall, rise" scenario then he failed. Civ V only allows a nation to fall if they are entirely wiped off the map, and which point there is no rise again, not until they create a whole new fictional world. Lastly, cultural awareness and free-of-bias are two very different things. I am calling out Civ V for being bias, yes, but more importantly, I'm calling out Civ V for hiding that bias within the game's mechanics ostensibly just for the sake of fun. That being said, as you have clearly discerned, I am also biased. If you happen to see world politics and history in the same way Civ V does, as a sanitary affair between neatly legible and stereotypical actors along a linear progress towards modernity, then the game will validate your beliefs. I think someone who believes that can still be critical of the game for succumbing to the black-box syndrome though. As for the UN, I never say it should be portrayed as a bastion of hope. You are spot on that the institution is deeply flawed. But Civ V vindicates the flaws of the organization, it states Civilizations can and SHOULD exploit the UN as a tool for selfish interest - after all, that's what it is there for. As I see it (again, biased here), the Hobbesian "major players" understanding of international relations is not a systemic rule, but a symptom of ideologies and normative affairs. Ideologies, I should say, that Civ V vindicates within its own digital system. "Civilization V is dangerously simplistic of identity groups"
"Diplomatic victories are equally shallow." "The subjects of Civilization V have no values, desires, or objections to speak of." "procedurally renders a vapid conception of social relations marked by blanket uniformity." "the game does not model a complex economic system"
As a developer I am keenly aware of all the nuance and detail we are forced to cut from our games simply because we do not have the resources necessary to implement them. The modernist, utilitarian bent that you observe is probably less an underlying philosophical a priori, and more about the necessity of keeping the system simple enough to understand and implement. This reductionist modeling is prevalent in virtually all video games. From the health bar to the facile conversation tree, we are forced by necessity to dumb stuff down if we are to stay in budget and keep the system intelligible. It's not that we haven't THOUGHT about all the ways our games could be better models of reality. For instance, Civ 4 had Religion as an integral element in their design. An obvious major player on the world stage and rightly included. However, they felt both for philosophical and gameplay reasons that they needed to treat each religion identically. This is obviously not accurate, but very understandable given their constraints. And in Civ 5 they dropped Religion altogether. A good deal of this article comes from a longer paper I've been working on, so I am guilty of leaving out some of the more nuanced moments of forgiveness you mention. You are absolutely right, Civ V must simplify in order to make a game at technically feasible, approachable, etc. Designers must make hard decisions, I do not deny that at all. That being said, they choose what to simplify and what not to. They are a vast number of choices given the limitations Fireaxis faced. Based upon interviews and the final product, it seems they chose to ignore the rhetoric the game's mechanics create when creating their simplification. I can imagine some simple alternatives that would not be particularly distracting, such as avoiding potentially racist stereotyping in designing Civ peoples, etc., but the point would be moot. I am not a designer and certainly there would be flaws even in those ideas. My point being, I do not believe Fireaxis adequately considered all their options. Nor do I believe they seriously considered the rhetoric they were creating. I should say, there are other strategy games, Civ mods included, that do change the rhetoric in minute ways within their limits. I want to restate here an important point. I am not saying Fireaxis "intentionally" developed a high-modernist game. The game is what it is, regardless of their intent. It's not even that I want a more realistic game. Maybe these types of games should be even more fictional. This is why I included the player in the discussion. A game's rhetoric is not always clear. It's important for both players and designers to look at that rhetoric clearly, and even reconsider their creation if need be. The task isn't easy of course, but we should never become complacent or impose ignorance upon ourselves. Also, there are a host of game designers, judging by your thoughtful comment, yourself included, that do seriously consider the mechanical arguments their games create. These designers deserve all the praise they deserve. This short post is just about the rhetoric of one game among many. I have always found Civ's modernist, pro-progress stance to be a big part of its identity as a game. The choice of art deco styling in Civ V was, I think, a clear sign that the designers are aware of this, and are happy to play up to it. What puts me off Civ is the way that it produces farcical counter-histories. I never feel I can take seriously the story that's being told. And the nodding-dog leader avatars don't help. Contrast this with Alpha Centuari, which (unburdened by actual history) produces some quite brilliant narratives. Indeed. Where most people tend to argue about the ideological, even political rhetoric created by almost any "Civilization-style" game based on actual civilizations and cultures, Alpha Centauri cleverly sidesteps that quagmire. Of course, it's not as if being fictional automatically frees it from the burden of commentary, but the rhetoric of its mechanics is much easier to analyze and think of critically without being weighed down by prejudices and worries about politics and racism and other factors that can cloud the discussion. Gentlemen and ladies, I present to you, Victoria 2. Civ 5 peddles this and does not model that because it's a video game meant to entertain players. Exactly, which is why I question that approach. Restating the "it's just a game" arguments is absolutely fruitless. Also, for future reference. All future "Anonymous" comments will be promptly deleted for the obvious reasons. There should be a way to just disable anonymous commenting, no? I find Anonymous's "it's a video game meant to entertain players" frustrating for a lot of reasons, but perhaps the biggest one is that statement in no way justifies the mechanics of any one game. Paradox games propagate problematic narratives of their own, but are nevertheless still much more complex and realistic than Civilization V and still quite "fun." Likewise, I can imagine a game that is as simple and streamlined as Civilization V but nevertheless does not play to outmoded concepts of eternal progress, atomic "civilization"-level entities, and so on. Not happy with the lack of depth? "Civilization V peddles modernist myths of linear and irreversible progress." - progress in Civ in linear not because of some -ism. Sid Meier originally wanted to include a possibility of decline of a civilization, but he found out that when it started to happen players simply reloaded the game. "In fact, the hexagonal tiles of Civilization V mirror what Political Scientist James C. Scott calls the “imperialism of high modernist, planned social order.”" - no, hexes are simply a way to divide the game's world so it's easier for AI to navigate and plan its moves. So, to cite one of the previous comments "Civ 5 peddles this and does not model that because it's a video game meant to entertain players. ", not because of this -ism or that -ism.